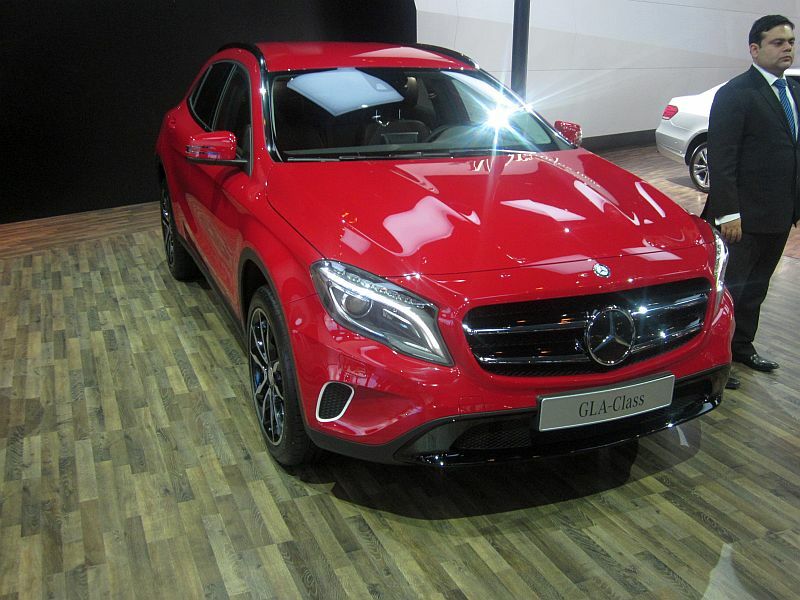 Snapshot: Mercedes Benz India showcased interesting two cars at the 2014 Indian Auto Expo – GLA crossover and he CLA 45 AMG sedan – both of which will lead the German luxury car brand’s push. The non-AMG version of the CLA sedan will be Mercedes Benz’s least priced luxury sedan in India and the same will be the case with the GLA crossover, which will be the brand’s least priced SUV model. Both cars will start at starting prices under 30 lakh rupees. 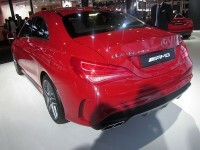 Launches are slated to happen later this year. 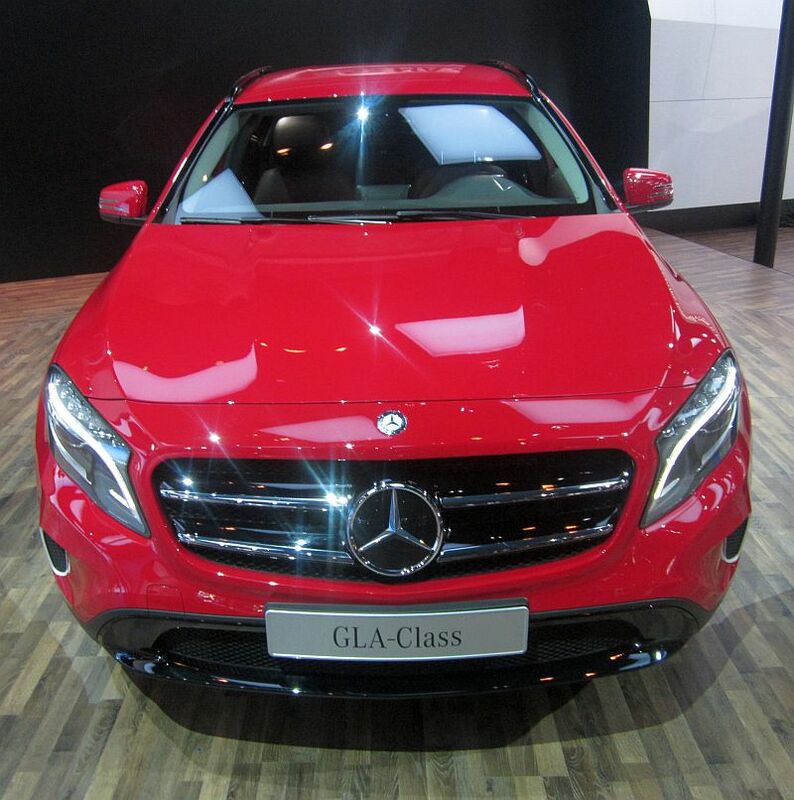 Both the CLA sedan and the GLA Crossover are based on Mercedes Benz’s MFA platform that supports front wheel driven cars pre-dominantly. However, the platform is flexible enough to allow an all-wheel drive architecture, a feature that will be standard on the top end variants of the GLA crossover and the CLA 45 AMG high performance sedan. 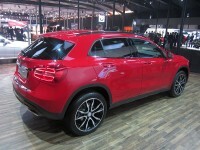 The GLA crossover will dip into the A-Class and B-Class car models’ engine and transmission units. 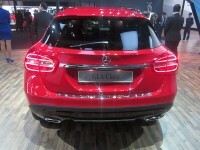 So, expect both turbo petrol and turbo diesel engines to be offered. 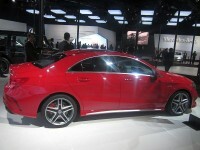 The same will be the case with the CLA sedan as well. 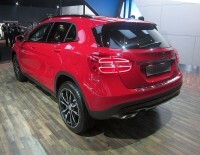 Both cars will be assembled in India at Mercedes Benz Chakan assembly facility thr0ugh the completely knocked down (CKD) kit route. 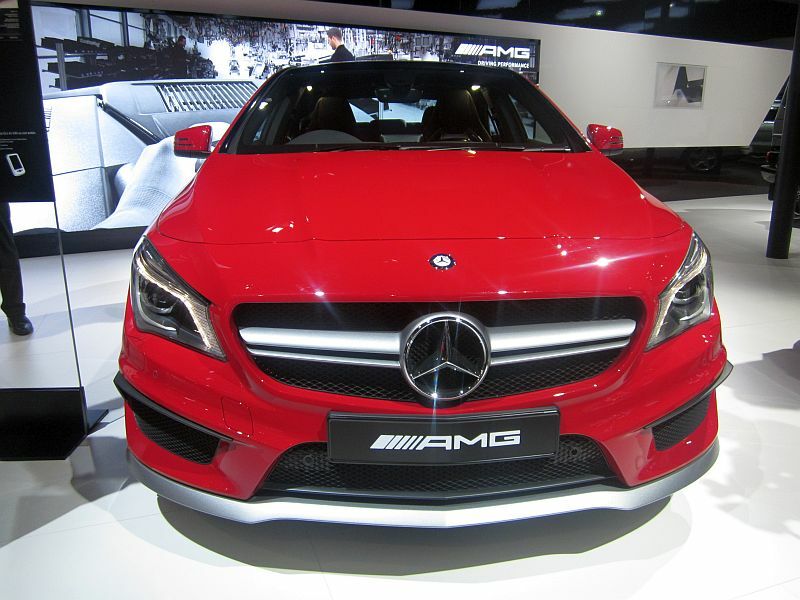 Coming to the CLA 45 AMG model, this high performance car features the world’s most powerful, 4 pot turbo-petrol motor on a production car. 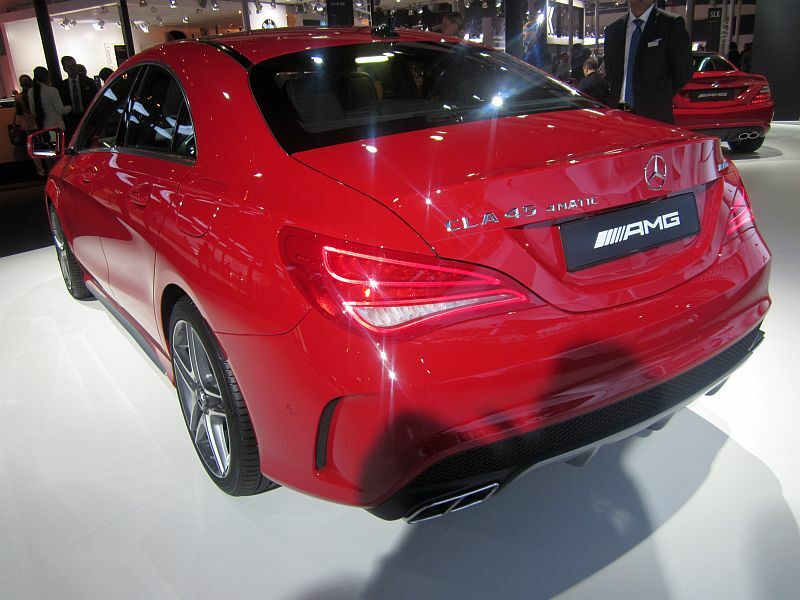 The 2 liter turbo petrol engine of the CLA 45 AMG comes with 355 Bhp-450 Nm, which also translates into a specific output of 177.5 Bhp/liter, making the motor the most powerful production 4 cylinder mill in the world. 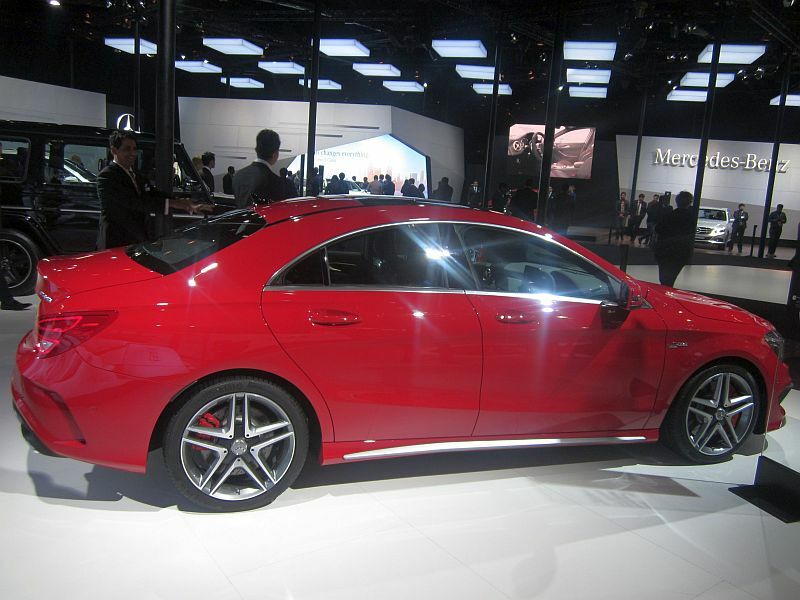 The CLA 45 AMG high performance sedan will be the entry-level AMG model in Mercedes Benz India’s car line up. 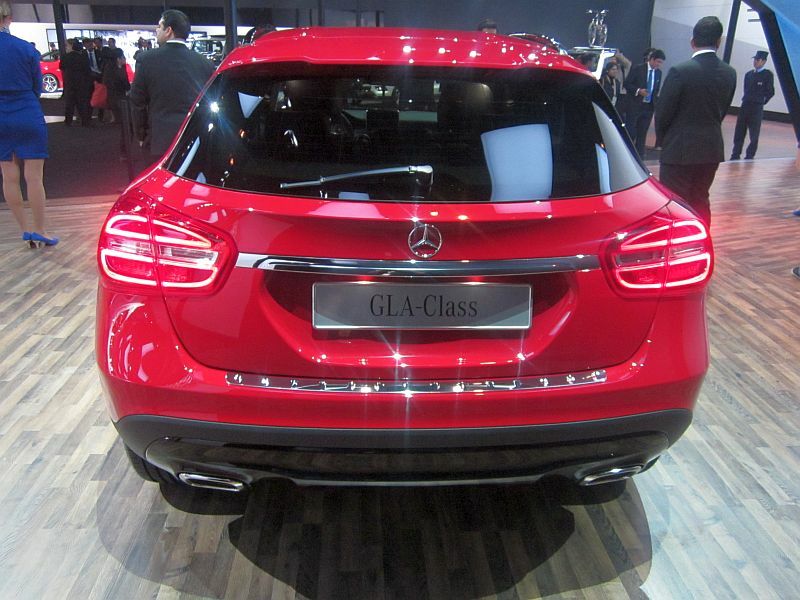 The car will be imported into the country through the completely built unit (CBU) route.